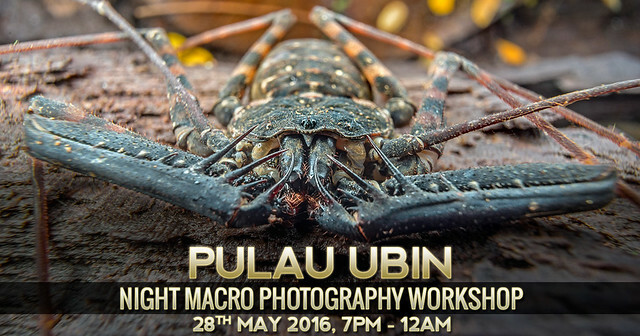 Join Nicky Bay as he introduces the fascinating art of night macro photography at Pulau Ubin. 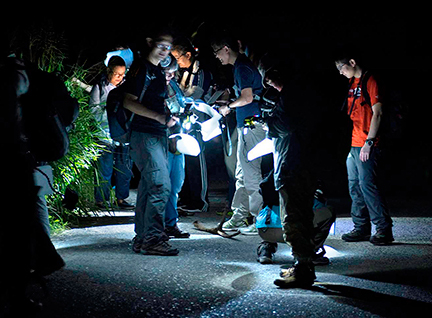 Nicky Bay does almost 50 night macro photography sessions per year! He says it is definitely incomparable to any day trip. This workshop is ideal for those starting out on macro photography, and for those who have field experience but have never tried macro photography at night. This is the perfect opportunity to meet like-minded photographers and learn from highly experienced photographers in night macro photography. More details here. Nicky Bay is a prolific macro photographer from Singapore whose works have traveled across the globe through magazines, books, newspapers, television segments and numerous online publications. He has conducted extensive photography workshops in jungles around the world with participants from five different continents. Nicky's photography style is diverse, approached with continual innovation on his techniques and equipment setup. With weekly field trips, he has a massive collection of arthropod photos and is currently co-authoring a book on spiders of Southeast Asia. Nicky blogs about his field trip discoveries at sgmacro.blogspot.com. Registration required. 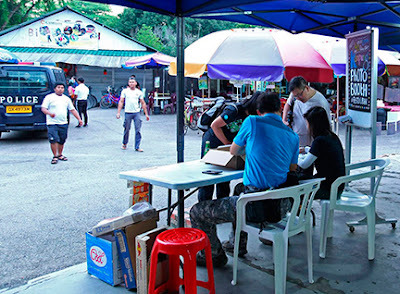 Registration and other details here. More details will be provided to those who register. Registration at the entrance of Uncle Lim's shop in the middle of Ubin Town. 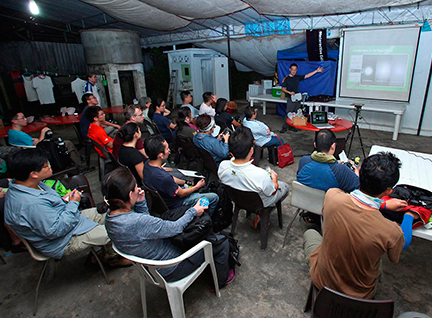 A 'kampung' setting for Nicky's slide show as he shares insights on macro photography. 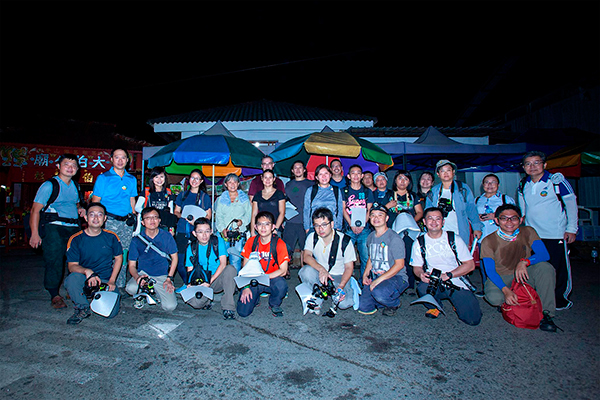 Then a hands-on session to make a DIY flash diffuser. 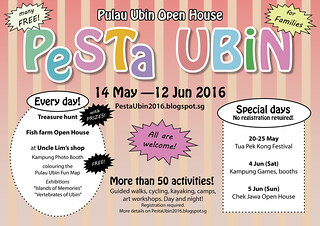 Pulau Ubin is great for photographers, especially macro photographers. 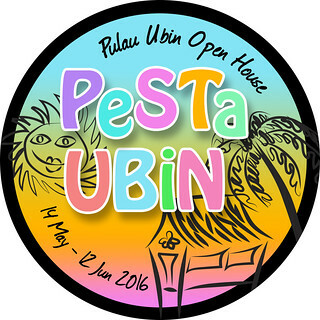 Thanks to Nicky Bay, volunteers and participants for an awesome Pesta Ubin activity. 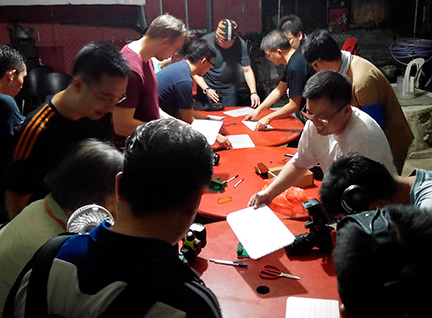 And thanks to Uncle Lim for hosting the activity at his shop. 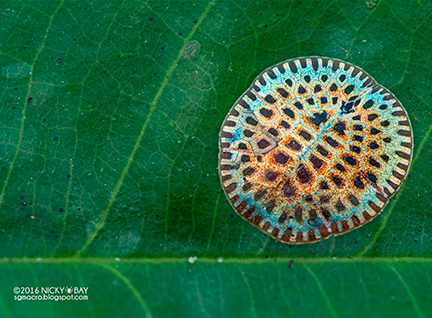 Here's one of Nicky's gorgeous photos of amazing tiny critters at Pulau Ubin. For more, check out Nicky Bay's blog.